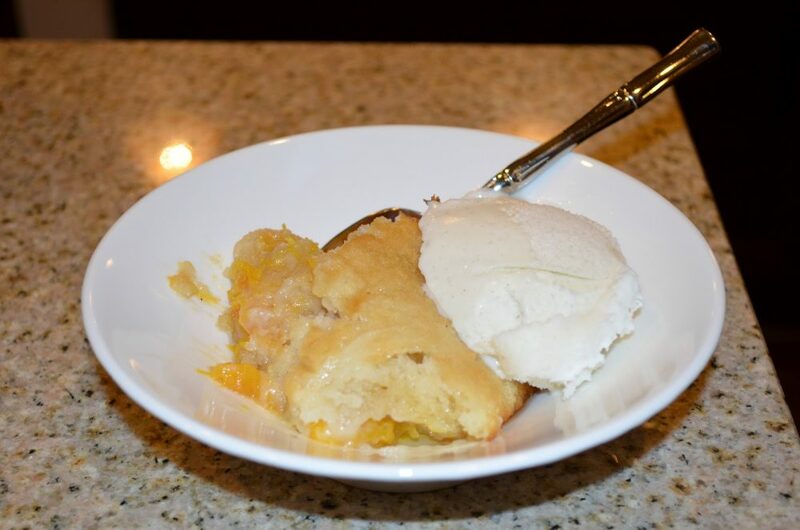 With peaches still in season, I took the opportunity to make something I’d never tried before: peach cobbler. 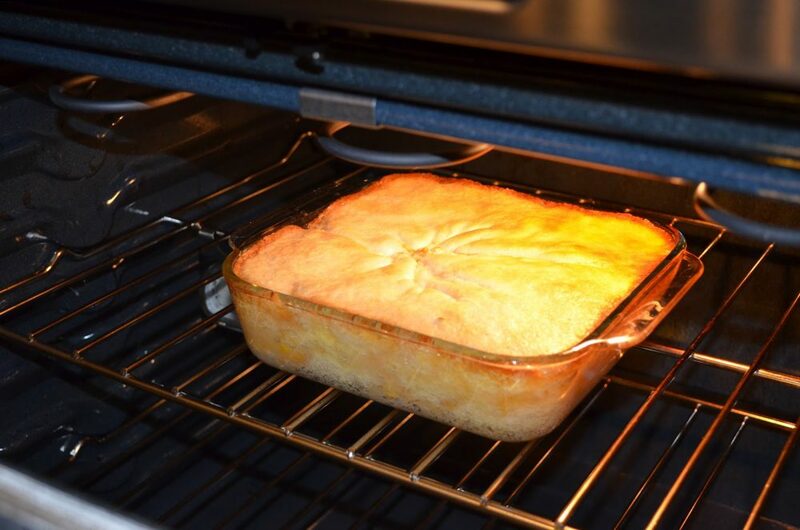 I used this recipe from The Homesick Texan cookbook and my husband said it was excellent! I don’t actually eat peaches, so I rely on his feedback for recipes like this. Why do I make it, if I don’t eat it? I always think these fruit-filled recipes look amazing and I know my husband will like them, plus I like trying new things to see how they turn out. 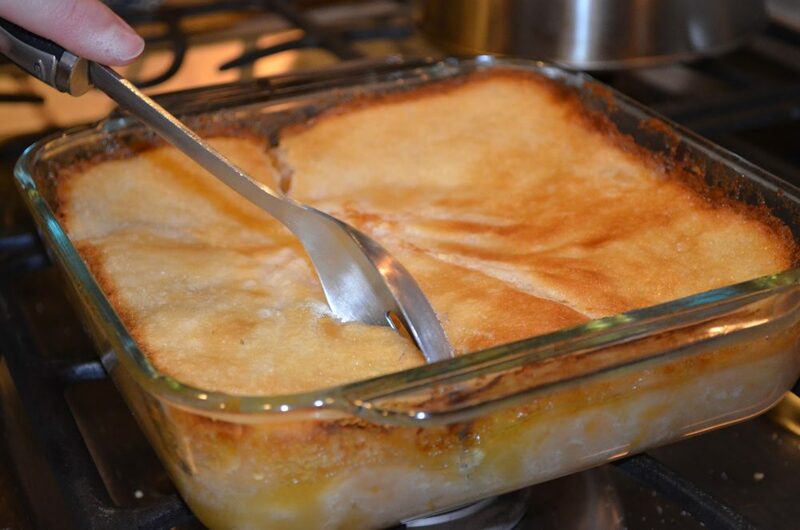 This recipe was super easy too, only 3 steps and 45 minutes! 2. Pour melted butter into a large cast-iron skillet or a 9-inch-square baking pan. 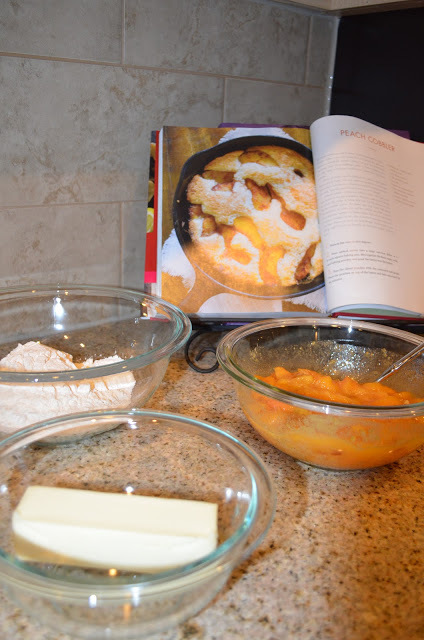 Mix together the flour, sugar, milk, and baking powder, and pour the batter over the butter. 3. Toss the sliced peaches with the cinnamon and ginger. 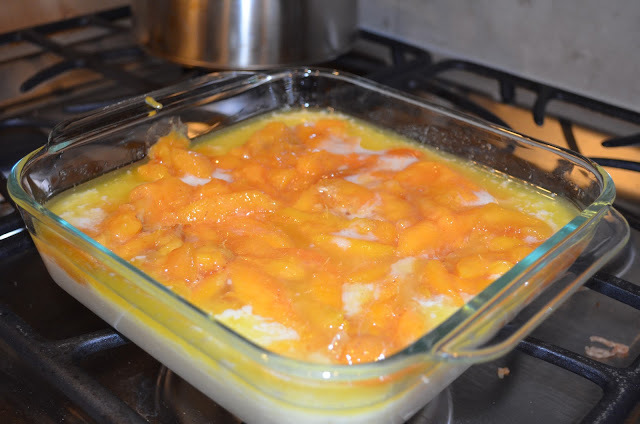 Place the peaches on top of the batter and bake uncovered for 45 minutes.